Not that you have an hour to spare, or if you did you would spend it listening to me, but should you be so inclined, I invite you to listen to me talk with Chris on “Just Talking”. He has devoted the month of November to all diabetes Podcasts and he and I kicked it off couple of weeks ago. Since then he’s also talked with Nikki Lang and the combined talents of Ginger, Manny and Dayle. I think Chris did a fantastic job with the questions he asked and I thank him for taking the time to include me in his line-up. I had a complete blast! Much of the conversation is about Caleb, parenting a child with diabetes and the power of the DOC, but we also touch upon the Yankees, my accent (who me – an accent? ), some of our heros and how Harry Potter can help get you through what could otherwise be a very tough time. My apologies in advance for all my babbling and “umms” and such. 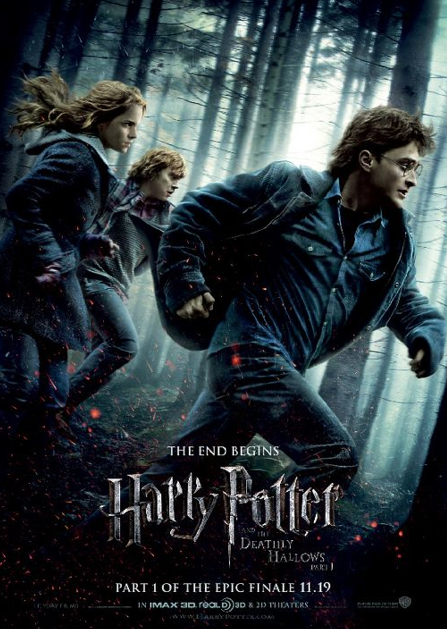 PS: Harry Potter 7, Part 1 releases in movie theaters TODAY!!!! Woohoo!!!! I listened to it, it was so great getting to know about your beginnings and how This is Caleb came to be! You are a gem Lorraine! Loved it, I liked the mix of diabetes talk and everyday life. Just a good reminder that even with diabetes, there is so much more non-diabetes going on. I started listening to it…I’ll have to finish it later this w/e…but what accent?! I think you sound fabulous and thanks for introducing us to yet another blogger in the D-OC Lorraine. Have a great w/e and a great Thanksgiving GIRL!!! Loved it, it’s fun getting to match a voice to what has simply been pictures. We see the written word and your pictures and I think we all put our own spin on what what people sound like. It’s cool to see if we were close and, no, I wasn’t. I didn’t have the accent down! No accent! Still listening – you sounds great! Listening still – love the part I’m hearing now about putting Caleb OUT there. I’ve had same thoughts about Nate – – – he’s out there. I made the choice. I hope he is ok with it. One day he may not want to be out there. I hope he chooses to be out there as Caleb has. We use precautions too. This is such great information.